Neil Giles, astrologer, runemaster and long time contributor to Astrology on the Web, examines the magical nature of the Runes, an ancient Teutonic doorway into the mysteries of consciousness. 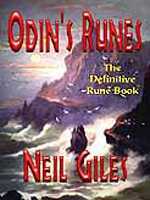 His book, Odin's Runes, which is perhaps the best book on the Runes and the Elder Futhark, is available from this web site. What are the Runes? They are a mystery, a language and a wellspring of magical tradition and they come in various disguises. We might know the Runes as the oracle of the Vikings, the fierce seafaring folk that sailed from the icy North to make a mark upon Europe, Britain and the Americas. Yet the Vikings did not devise the Runes for they were simply one of many peoples that bore a branch from the tree of the Runic Tradition. As the power of the Catholic Church rose in the Middle Ages, the Runes were named the 'Devil's Alphabet' by priests who feared and vilified the old ways of magic and culture that they named 'paganism'. Though the Runes owe nothing to the devil and his works, they lost favour and currency but did not entirely disappear. In recent times, the Runes have become a 'coffee table' set as modern commerce and popular culture have given new life to an ancient practice that Christian worship in the West has tried to suppress and destroy. The Runes may be unknown to you but you can come to them naively and begin a practice. The Runes may inspire you to expand knowledge you already have, for there is always more to learn. The Runes may touch you with fear but you need have no fear of them. Respect them for what they are and use them respectfully or leave them alone! The Runes can catch you with their glamour, drawing you into a fascinating world of oracles, magic, ritual and spellcraft. One thing about the Runes is certain! To touch them is to be in the presence of a cohesive and distinctive body of lore that comes down from elder times. In simple terms, the Runes are an alphabet, a system of sacred symbols that links language to a secret mystical tradition. While there are many examples of 'runic' style letters in early history, the term 'Runes' refers to a symbolic system devised by the early Germanic peoples. The first form of the runic alphabet is called the Elder Futhark. The word 'futhark' derives from the first six characters of the Runes in sequence, 'th' being a single letter. The Elder Futhark is a series of twenty-four characters each of which is a symbol with a mystic meaning. Each Rune has a name that can be said aloud or written down. Each Rune correlates to a letter of an alphabet, an alphabet of magic. Though there is dispute as to how and when they were born, it is clear the Runes are at least two thousand years old. There is a famous jewellery piece from Denmark called the 'Meldorf brooch', engraved with runic symbols. This brooch dates to the year 50 AD. Such engravings in an item of value and beauty clearly come with a history for they do not evolve overnight. This pushes the time of runic origins back before the coming of the White Christ. Across the trails and roads of those that used the Runes, designs cut into markers and monuments of stone support this view. Though the Runes may be a 'forgotten' oracle, neither as widely known nor as much used as Tarot or Astrology, we still owe a significant part of our cultural heritage to the Teutonic gift. The first true parliamentary democracy was born in Iceland to a culture and a people deeply versed in runic lore. If we look closely, we find the unmistakeable shapes of the Runes in the architecture of the Middle Ages, even in the great cathedrals built to venerate the White Christ. 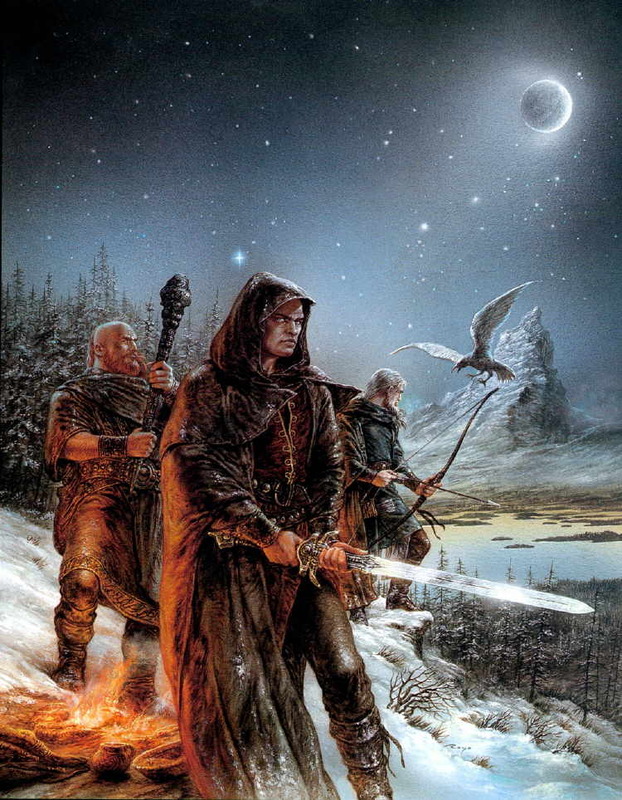 Four days of the week are named in honour of the Northern Gods. Tiw, one-handed warrior god of justice, reason and science gives Tuesday a name. Wednesday is named for Odin or Wodanaz, the Allfather and giver of the Runes. Thor the Thunderer gives his name to Thursday while Freya, goddess of love, beauty and women's magic graces Friday with her name. And, even the tales of Santa Claus and Saint Nicholas actually have their origins in the Runic tradition. Though we may not know the old Gods, we still live under their auspices and protection. The Runes are the living memory of an ancient way, handed down by the ancestors of the German people. 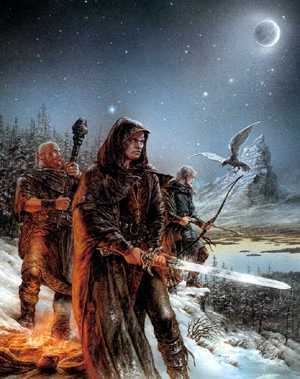 They are associated with the Scandinavian traditions of magic and are at the core of the magical lore of the cold climes of Northern Europe. Yet their beginnings are mysterious. Neither scholar nor sceptic nor believer can say exactly when or how they come into being. So too mystery shrouds the people that bequeathed them. Little is known of these early folk except through Roman or latter day commentators, and in the Runes themselves. Roman writers bear witness to Germanic culture and magic but their writings were neither accurate nor well informed, suffering from cultural and racial bias. Oddly, the name 'Teuton' more likely derives from 'Teuta' or 'Tuatha', a Celtic word for tribe, not a German one, even though today we use 'Teutonic' as a generic for the German race. For all that Rome fought the German people and eventually triumphed over them at the battle of Aquae Sextiae, these wild and reckless 'barbarians' still wear their cloak of glamour for us now as they did for Rome more than two thousand years ago at that fateful encounter. The bearers of the Runes fought without fear of death, freely embracing the worlds of magic and of spirit. They lived fiercely yet recklessly. They ruled themselves through a council of equals that included women in the ranks of warriors as well as in positions of leadership. They were gamblers who believed that life was a cast of fate one should make whole-heartedly. Many mysteries come with those who gave the Runes. Mysterious the giver, mysterious the gift! So what are the mysteries of the Runes? The word 'Rune' means 'secret' and also to whisper or to roar. Each Rune is a letter in an ancient alphabet, with its own meaning and power. Traditionally, the Runes were used in magical practice and for the art of divination, the oracular reading of the past, present and future. This is not an alphabet such as those we are familiar with in the modern era, for it is called 'ideographic', a style where the shape of the letter embodies an idea or dynamic principle. In this way, someone with knowledge who understands the meaning inherent in the Runes will know what powers lie within them and will be able to summon such powers. When we draw or lay a Rune to cast a spell, enact a rite or read the future, the act is a magical one, naming the power that rules the Rune. Once named, the power rises from a deep well of elemental force or flows from the unseen realm of spirit. 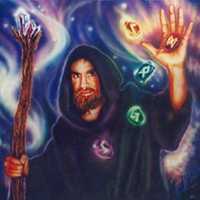 The Runes are in essence an oracle for life, naming natural cycles and invoking the natural forces of this world so we can attune to them and, with time and disciplined effort, direct them. Remember though that this is done only in the way that a mariner directs the boat by setting a course and catching the wind in the sail. Beyond this, no one may direct the wind but the wind itself. Work with the Runes opens a myriad of doors. And, while casting or reading them is an important practice, it is only a portion of the magical gifts the Runes can bring. Traditionally, the runic characters would be sewn or embroidered into garments to enhance the beauty or mystique of the wearer. Jewellers engraved their work with Runes, as with the Meldorf Brooch, so the wearer would shine with the radiant glow of precious metals and gems. Carvings in wood or stone directed the magic of the Runes to make boundaries, markers, messages and warnings. Chests and storerooms would bear the marks of Runes that would conceal them from view or strengthen the locks. The Smith would forge Runes into the steel of a sword so that the wielder would have strength, courage, skill and good fortune in battle. Shields, belts and armour would bear Runes into the fight to protect the wearer from harm and strike fear into the heart of an enemy. Scholars could call upon the power of the Runes for study. Leaders would ask for guidance from the Runes, casting oracles to clarifying important decisions. Get to know the Runes for yourself and ask for their magic to come into your life. The Rune FEHU can teach you to summon the power of living increase and bring wealth. The Rune KENAZ can teach skilful work, especially with fire and tools. KENAZ will aid you to find a balanced cycle of work and rest. JERA will teach you the natural cycles of the seasons and the land, revealing how you can work with the earth. PERTHRO will teach you to trust your intuition, your artistry and your good fortune, revealing the moment to take a risk or to stake everything on an inspiration. TIWAZ will bring learning and teach you how to make strong or determining decisions that will put you on the right path. BERKANA will give that special glamour for an occasion, an interview or a presentation. And, if you wish to bring love into your life or lust into your bed, BERKANA can give the glow that will guarantee the afterglow later on. DAGAZ can awaken your mind and spirit so you can seize opportunities or create them, taking a tangential turn or the path of sudden change to alter the state of your life. These Runes may whet your appetite to work with the magic of a gift that calls you to an ancient path, one that you can make your own in the here and now.